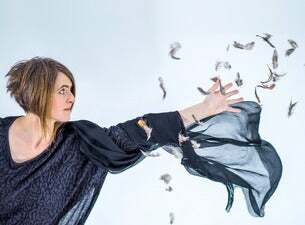 Karine Polwart is a five-time winner at the BBC Radio 2 Folk Awards. She won twice for Best Original Song and her 2004 album Traces was shortlisted for Album of the Year. Her debut solo album Faultlines won Best Album in 2005. Polwart has composed for two Scottish BAFTA-nominated animation shorts, and produced song commissions for documentary films including the award-winning You’ve Been Trumped. While constantly recording, touring and collaborating, Polwart teaches with and writes for community-based and educational projects. Her latest album is A Pocket of Wind Resistance, which is the musical accompaniment to the theatre show and was selected as Best Album in 2017 by BBC Radio 3’s Late Junction. She’s currently back in the recording studio with her trio made up of Inge Thomson on accordion and percussion and her brother Steven Polwart on guitar.